After launching in Costco earlier this year, the Belgian chocolate brand is now selling in a U.K. supermarket for the first time. Godiva is one of the best known chocolate brands in the world, but their products may not be quite as ubiquitous as the name makes it seem. As of May, the Belgian chocolate maker only had a 1.5 percent share of the American premium chocolate market with the brand's biggest presence coming through its own 160-plus retail stores. But Yildiz Holdings, the parent company behind Godiva, has big plans to push the brand, hoping to double global sales to $2 billion in the next five years. As a major part of those efforts, Godiva will now be selling its products in a U.K. supermarket for the first time ever. The chocolate company made an agreement with Sainsbury's, which, with about 500 stores, is the second largest British grocery chain. Before this announcement, Godiva chocolates were only available in 11 locations in the U.K., specifically the brand's own boutiques and a few specialty markets. 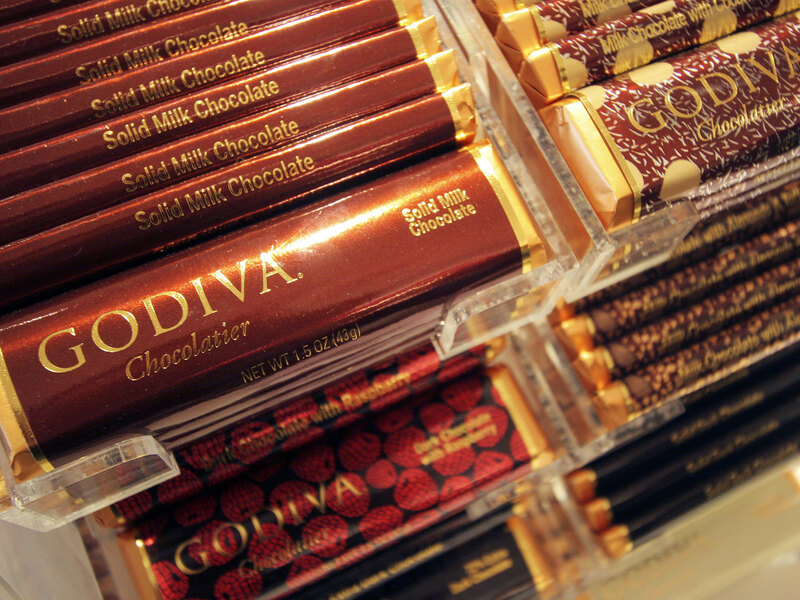 Godiva is also looking to expand significantly in North America. Earlier this year, the brand launched at Costco, both in store and online, and has already been working with major online retailers including Amazon, Walmart and Target. According to Confectionery News, only 6 percent of the revenues from Pladis, Yildiz confectionary and biscuit arm, currently come from this region, but the company hopes the US will make up a fifth of its global revenues within the next two years. In the process, Pladis wants to ramp up that 1.5 percent market share to closer to 10 percent by 2022. At the core of all this growth is a new product called Godiva Masterpieces billed as "the signature shapes of Godiva, now available in individually wrapped chocolates and filled chocolate bars." Whether shopping from Sainsbury's or Target or other retailers, the idea is that these offerings are a simple way to get that premium Godiva experience in a convenient package. "We really see that brand becoming the core of our Godiva franchise in CPG over the next few years," said Brian Blanchard, America's managing director of Pladis said in May. Chocoholics beware.